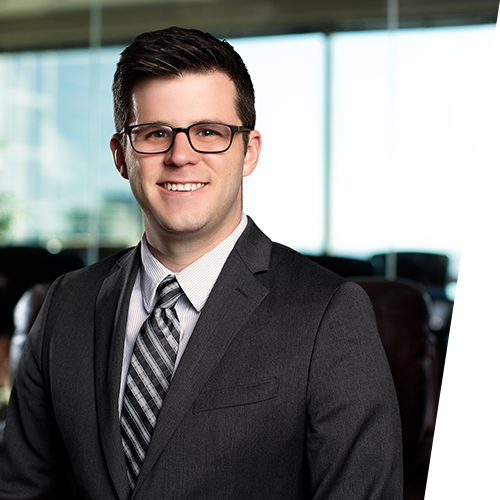 Prior to returning to Kansas City and joining the firm as an associate in 2017, Andrew ("Drew") practiced for two years in Chicago, Illinois. While in Chicago, his practice focused on the representation of corporations in a variety of employment, misappropriation of trade secrets, fiduciary duty, and contract disputes. Outside the office, Drew serves as a mentor to students at Kansas State University and the University of Illinois. Drew lives in Kansas City and enjoys going to concerts, playing the piano, and rooting on the Kansas City Royals and K-State Wildcats. Served as second chair in a bench trial that spanned 18 months and involved the prosecution of an energy developer’s claims against former employees for misappropriation of trade secrets, breach of confidentiality agreements, civil conspiracy, unfair competition, and breach of fiduciary claims. Successfully resolved claim for an equitable mortgage arising out of a partner’s improper access of funds. Represented manufacturer in its successful defense against an Illinois Wage Payment and Collection Act claim. Represented real estate consultant in its unjust enrichment claim against its client for unpaid fees.